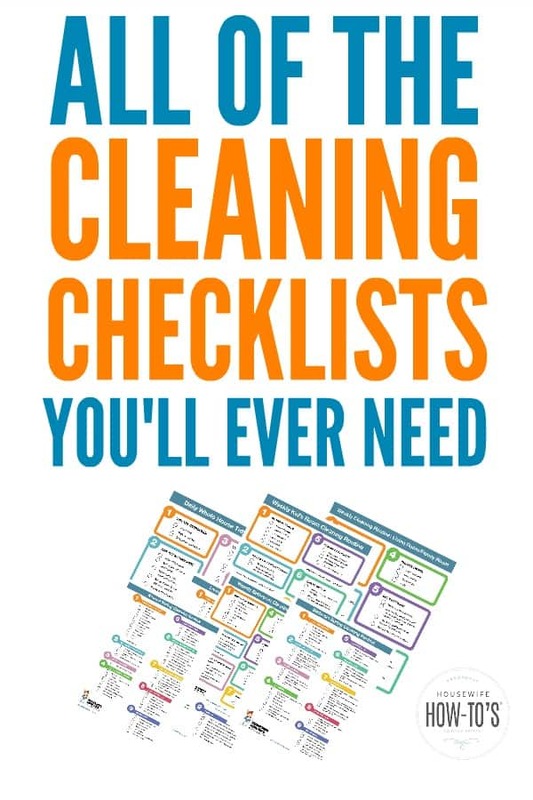 When printing a cleaning checklist, consider putting it in a plastic page cover so you can cross items off with a dry-erase pen or crayon as you do them, then wipe the page clean to use again next time. And don’t forget to stash your pages where you can easily find them, maybe inside a door or cupboard in the room they focus on? Looking for a REALLY thorough cleaning? Get my 30 Days to a Clean and Organized House. I’ll guide you through cleaning and organizing every room, every closet, and every cupboard in your house. Plus, you get 10 of my homemade cleaning mix recipes and the BONUS monthly chart to stay on top of the cleaning and organizing once you’ve finished the plan. 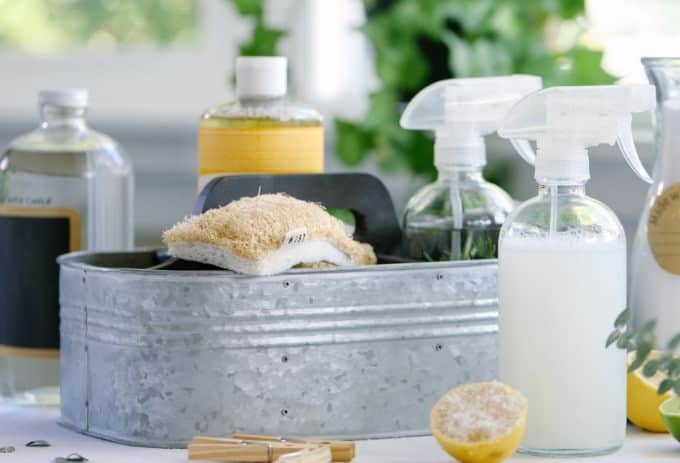 Wondering what cleaning products and tools to use? Check out my page of Recommended Products for the tools and products I use in my own home.